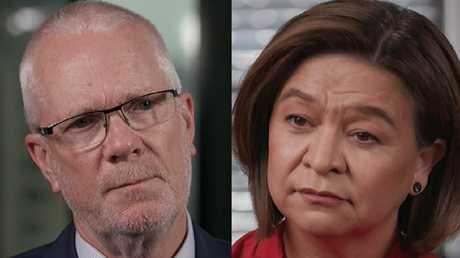 An explosive Four Corners investigation has examined the ABC turmoil that saw Michelle Guthrie and Justin Milne lose their jobs. But it was an allegation by Ms Gurthrie that she was "inappropriately touched" by Mr Milne at the end of a dinner function in November 2017 that packed the most punch. "Inappropriate touching is the best description of it," Ms Guthrie told the program. "It was … I felt icky. You know, it was inappropriate. It was unprofessional and inappropriate." She declined to go into further detail, but said her accusation was conveyed to the ABC Board prior to her sacking. Ms Guthrie also alleges that she was strongly encouraged to resign as a result of it by Board member Joe Gersh. "The purpose of that meeting became very clear, that he was trying to force me to resign. It was very, very clear," she said. Mr Milne strenuously denied any wrongdoing and said he was "dumbfounded" when the allegation emerged. "I think she meant that (accusation) to have a sexual innuendo about it, which I can't possibly for the life of me understand why she would say that," he said. "She outlined a number of allegations and you're going to have to forgive me for not going into them chapter and verse, except to say that I never, ever behaved in any inappropriate way with Michelle. I had no reason to whatsoever and I didn't," he said. Ms Guthrie told Four Corners that she was mindful of avoiding "social settings" with Mr Milne that put her "into situations where that might recur" after the alleged incident. Accusations of political interference facilitated by Justin Milne led to staff action at the ABC and eventually forced his resignation. Over a chaotic week at the end of September, which saw Ms Guthrie sacked and Mr Milne forced to resign just days later, countless questions swirled about what had happened. 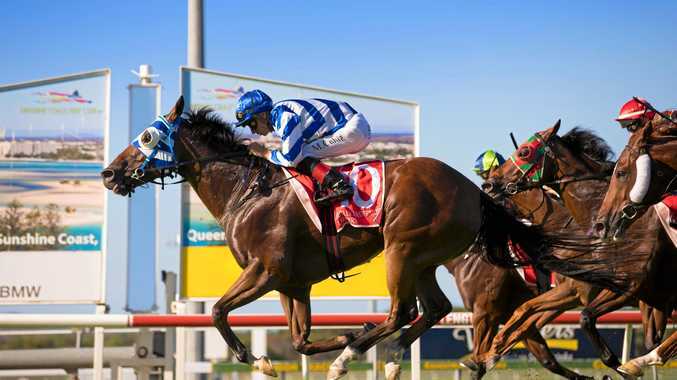 The program shed some light on the fractious working relationship between the pair, which Ms Guthrie claims broke down over his perceived political interference. After she was sacked, a dossier of emails and text messages from Mr Milne revealed he had expressed his wish for Economics Correspondent Emma Alberici to be sacked over a handful of stories that had angered the Government. However, Mr Milne claims the former ABC boss was part of discussions about "what to do" with Ms Alberici, including what he called "external career development opportunities". "That's a silly corporate euphemism for, um … uh … firing her," he admitted. Ms Guthrie denied she was part of advanced plans to terminate Ms Alberici's employment, however it was revealed she had sought HR and legal advice that determined there were no grounds for sacking the journalist. 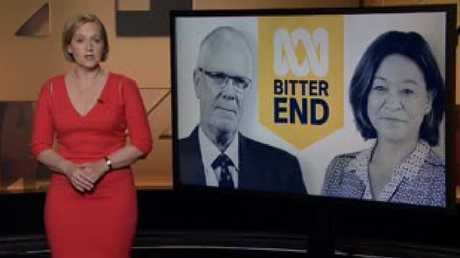 A series of emails and texts from Justin Milne complaining about ABC staff, including that Emma Alberici should be fired, were revealed after Michelle Guthrie’s sacking. Mr Milne rejected claims made by Ms Guthrie that he was seeking to do the Government's bidding when it came to problematic reporters. That's despite an email he sent in the wake of an $84 million funding freeze by the government, in which he said "they frickin' hate her" about Ms Alberici. Communications Minister Mitch Fifield made six formal complaints over five months about stories and individual journalists that he felt were biased. "There was this real sense that we needed to please the government and that the government had expressed, as we know, a number of complaints around Emma's reporting, and that we needed to placate the government," Ms Guthrie said. She felt "under pressure" to appease the government, particularly when Mr Milne repeatedly raised the "problem with Emma", she said. And she claimed to have raised concerns about Mr Milne's apparent interference with the Board. Mr Milne repeatedly denied he experienced any direct pressure from the government over individual journalists, but he believed Ms Guthrie had failed to properly network with them. "The government, whether it's a Liberal government or a Labor government that's in power, is our shareholder. They're our banker. They're our regulator. They're our occasional inquisitor. "It's just naive to think that the board cannot pay attention to that. Because, at the end of the day, one of the jobs of any board of any organisation is to ensure its continued existence, and that means funding." When Ms Guthrie told the then-Chairman that the budget cuts would likely result in the redundancies of 200 staff - mostly from the news division, she claimed Mr Milne told her not to pick a fight with the government. "I wasn't allowed to essentially … you know, fight the government," she said." "I was getting these texts from Justin saying, you know, 'Don't criticise the government' and 'Wait for the big prize rather than the small prize'." That big prize was Mr Milne's pet project - a massive investment in digital infrastructure he had nicknamed Jetstream. 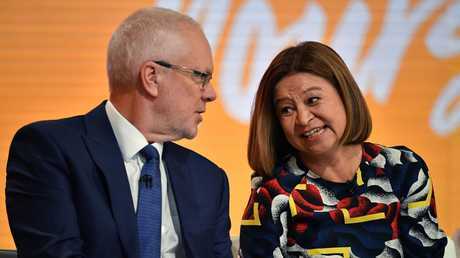 It required a $500 million cash splash from the government and Ms Guthrie said she believed their falling out was over Mr Milne's view that she was hurting his chances. 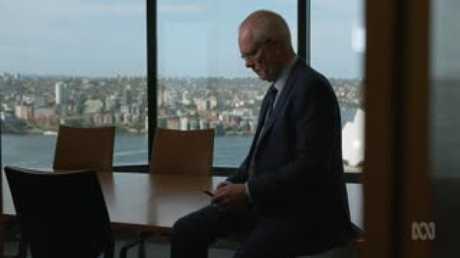 In June, he met with then-Prime Minister Malcolm Turnbull and Mr Fifield in Sydney, but it appeared the conversation strayed to the government's ongoing anger at reporting. Ms Guthrie claimed she received a call from Mr Milne in which he "berated" her about political editor Andrew Probyn's reporting on the government. "Oh, my gosh. I mean, it was terrible. And it takes a lot for me to cry, but I got very, very close and I was shaking. I mean, I wanted to get him off the phone," she said. Mr Milne denied he was aggressive in that call or that Mr Turnbull or Mr Fifield raised the matter of journalists or their reports. 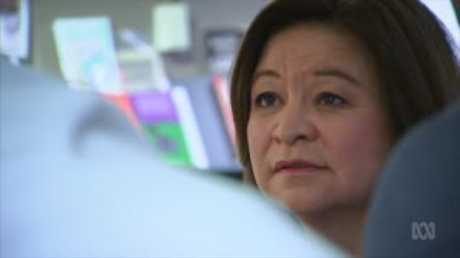 The program examined complaints that Michelle Guthrie was disliked by staff and had contributed to a nosedive in staff morale. Much of the program was a back-and-forth between the former chairman and former MD, with one refuting the other's claims. But both implied that the other was not cut out for their positions. "My sense was very much that, on reflection, the former chair wanted somebody in this job that (he) could control and I wasn't that person," she said. While Mr Milne described her as a leader who was missing in action, ineffective at communicating her vision and lacking in the required muster to deal with the Government. 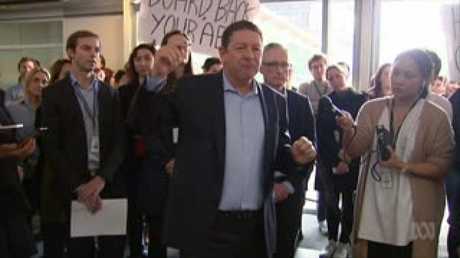 The entire ABC board refused to be interviewed for the program. 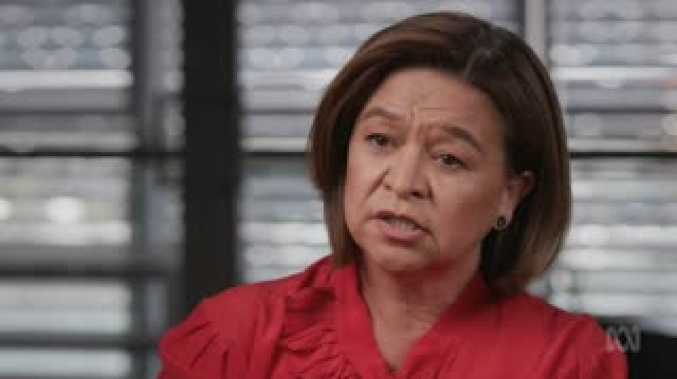 Ms Guthrie announced last month that she would sue the ABC and Mr Milne, and indicated that she is seeking to be reinstated. "As I keep saying up until today, I still don't know why I was fired from the ABC," she said.